Let's take a look at one of the big moments in the development of any chess player: choosing a style. Perhaps the best way to do this is to analyze the games of famous players and see which ones you like best. To help you with this, I am going to demonstrate you great examples by Mikhail Tal. 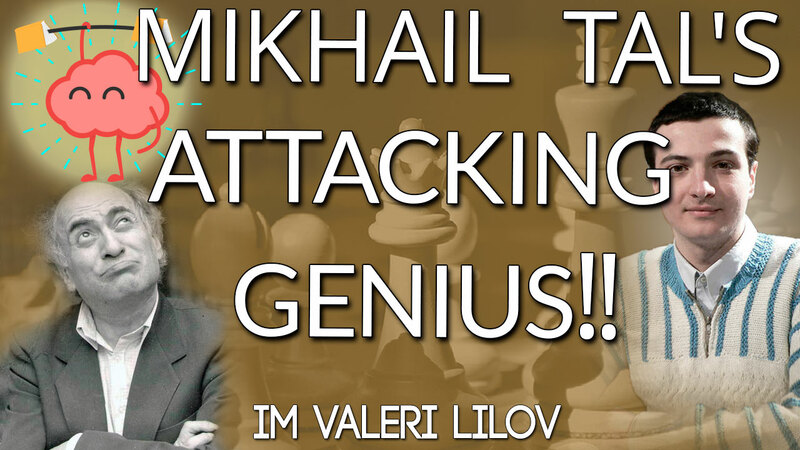 Part of improving as a chess player is opening yourself up to new ideas – and Tal’s games are full of moves that radically overhaul the position, ripping his opponent out of their comfort zone and hurling them into the center of chaos. • Tal letting his Queen be captured just so he can open the e-file! He follows up with a bishop sac and his dazed and confused opponent soon finds himself giving back all the material. Phenomenal chess. • The time Tal’s opponent exchanged Queens off – and Tal refused to recapture! Here you’ll learn how other considerations outweigh material – even a Queen! • When World Champions collide – what happened when Tal met Spassky… yes, more sacrifices! • A beautiful finish to defeat the great Bent Larsen in the 1965 Candidates. If you want to add a little inspiration and some powerful attacking ideas to your play, make sure you join me for this webinar.